The Sawtelle neighborhood, an area in west Los Angeles that is often (incorrectly) referred to as "Little Osaka", is rife with good Japanese restaurants, including some great sushiya. One of these is Shunji, established in early 2012 by chef/owner Shunji Nakao, formerly of Matsuhisa and Asanebo. It's a quirky looking place, housed in an old, circular-shaped building that looks like it might have been a fast food joint at some point. Inside you'll find a comfortable L shaped bar as well as a handful of tables. I had the pleasure of dining here on a Friday night recently, my second visit to the restaurant. Now, Shunji is not only known for its excellent sushi, but also for the chef's creativity with otsumame and cooked items. For example, he's invented a wonderful tomato agedashi tofu dish that I had on my previous visit and found delectable. But on this occasion we elected to order the "nigiri-only" omakase. The meal came to $180 per person including a few beers, tip and tax; a price I found to be reasonable considering the quality of the food. The food, as expected, was excellent. Shunji's rice is very good. It's seasoned with akazu, fairly mild but still flavorful and sour enough to balance well with the tane, and served at a good temperature. I found the tane to be of very good quality as well, and our chef's knife skills were at a high level, as you'll be able to tell from the photos below. 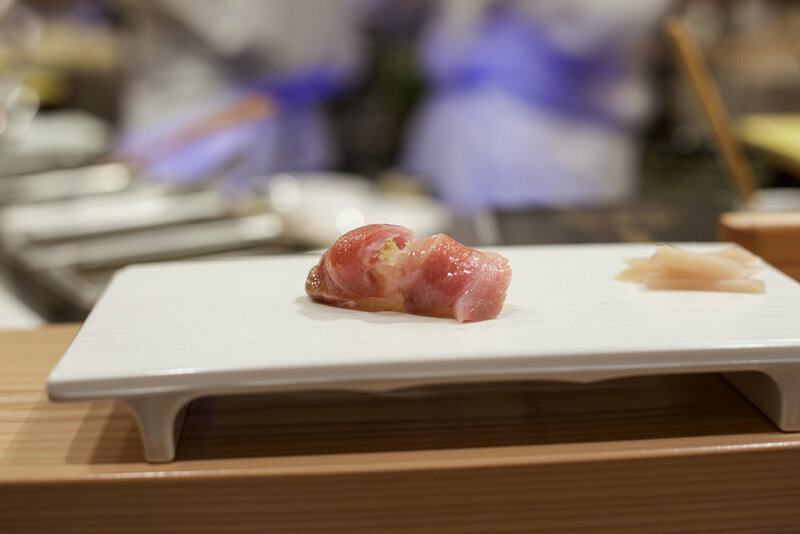 Considering Shunji's penchant for creativity and experimentation with cooked items, the nigiri is prepared in a fairly orthodox way, mostly adhering to Edomae preparation techniques. Application of various accoutrements, nikiri, or tsume on the tane was restrained and provided good balance to each piece. Particular highlights included the engawa, akami zuke, and very fresh amaebi (see photos below). Even more notable were the incredibly soft ika and very good kamasu. The chef braided the kohada in a lovely display of knife skills. The knife work needed to tenderize the aforementioned ika was also impressive. A couple of minor things - not food related - were slight disappointments. First off, Shunji on a Friday night is a rowdy scene. 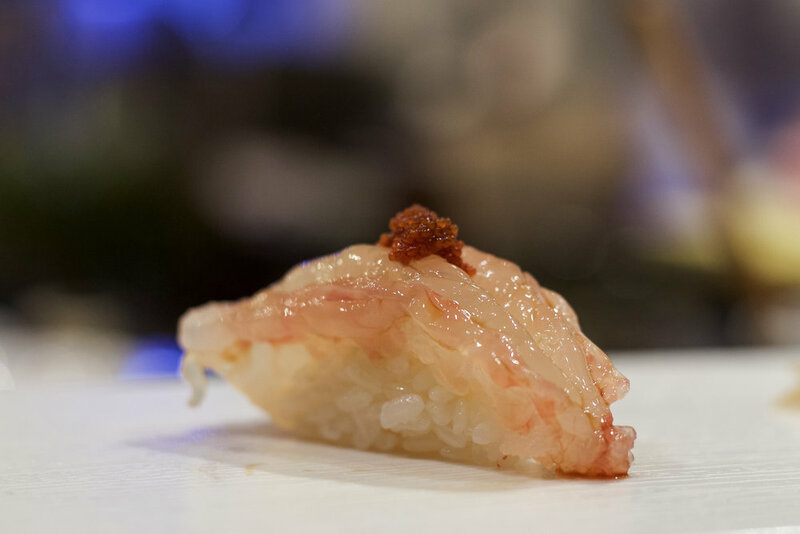 Do not expect the quiet, almost reverent atmosphere found in most high-end sushiya. People were drunk, and loud. The group of Japanese customers seated next to us at the bar was at times a little *too* loud, and a young lady in that party seemed on the verge of passing out on the bar, which was both funny and a little annoying. I also wished the chef had been a little less taciturn, he seemed reluctant to engage in any sort of conversation - not a big deal, as he was still very professional and pleasant enough. We just couldn't really get any conversation out of him, other than providing the name of each tane. Very minor gripes obviously, and I still had a really wonderful time. 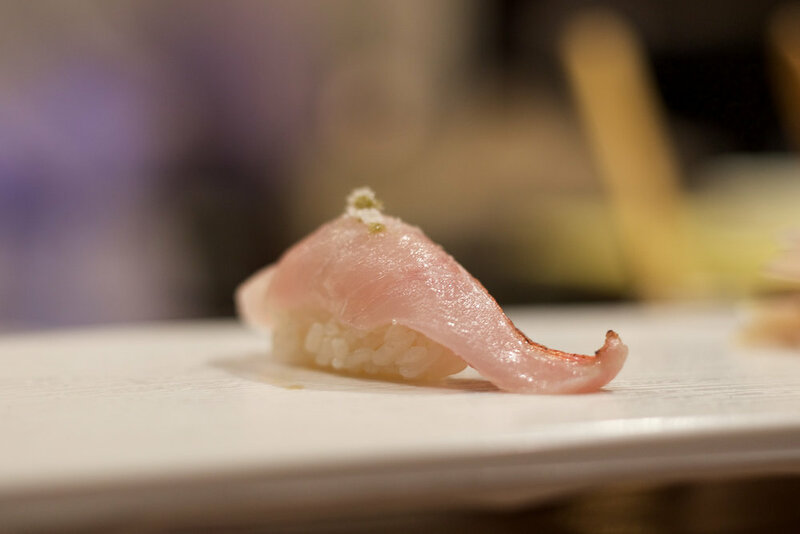 As a non-local, but semi-frequent visitor to Los Angeles, my sushi eating experience there is still somewhat limited, but I can say with absolute certainty that Shunji is one of the very best sushiya in the area, and I recommend it wholeheartedly. Below you will find images of most of the evening’s pieces, in the order they were served, along with some additional comments. ika - one of my favorite pieces of the night. Very tender and sweet. kohada, sliced and braided. I found the knife work to be more impressive than the marinade. amaebi heads before the fryer. The shrimp were dispatched in front of us and still twitching when prepared. good Japanese saba with flavorful, balanced akazu marinade. 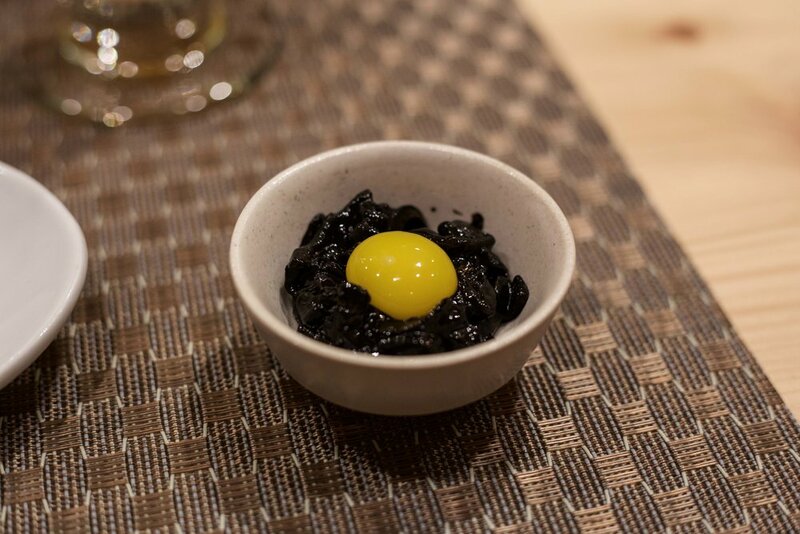 ika with ika ink, rice, and quail egg - obviously not Edomae, but very very good!